World Hope remained clearly on course for a place in the Kenya Basketball Federation men’s Division I playoffs after collecting three points over the weekend. After missing out of last season’s playoffs and contested the decision in court, World Hope are determined to make the cut clearer this season. They are keeping up the pace with the leading pack of Barclays Bank, Africa Nazarene University and Zetech University. On Saturday, they lost 54-61 to Strathmore University despite winning the first quarter 14-8. Strathmore won the second quarter 13-10, the third 18-12 and the fourth 22-18. Edgar Miheso top scored for Strathmore with 18 points while Moses Abraham led scoring for World Hope with 22 points. Patrick Wakasiaka made three three-pointers to finish with 17 points for World Hope. On Sunday, they beat Kenyatta University 66-56. 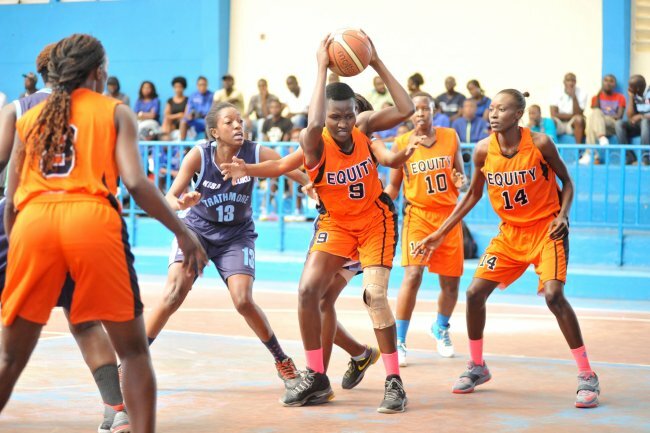 In the first quarter, Kenyatta University scored four three-pointers and a basket to win 14-11 having led 3-0, 5-4, 8-7 and 11-9. World Hope led 4-3, 7-5 and 9-8. The second quarter was won by World Hope 17-7 who opened an eight-point lead of 28-20. The gap widened to 11 points in the third quarter at 33-22 and won 19-15. In the fourth quarter, Kenyatta University won 20-19 but World Hope had a lead of 12 points at 61-49. Vincent Majimbo scored 18 points for World Hope while Brian Ondiek top scored for the students with 13 points. Kenyatta University lost further ground after conceding the second loss of the weekend to Upper Hill 44-54 on Saturday. In this match, Deng Aweny scored a game-high 23 points for Upper Hill as Gerald Andare scored 10 for Kenyatta University. Having played in the playoffs final of 2015, Upper Hill has not been at their best since then and are struggling to make it to the playoffs this season. But, they have some games at hand that could work the magic in their favour as the season concludes. Kenya Airports Authority (KAA) is a former premiership side that is not doing well this season. They are on the lower end of the log but won two vital games over the weekend that will aid their survival push. On Saturday, they beat Nakuru Club 64-46 and won the first quarter 20-10, the second 9-5 and the fourth 22-15. Nakuru won the third quarter 16-13 and had James Okerio top score with 16 points and Joe Okoth added 14. Kenedy Adodi top scored for KAA with 20 points with Collins Adodi adding 17. They beat Eldonets 82-75 in a high-scoring game played Sunday and decided in overtime. After a 65-65 tie in normal time, KAA won 17-10 in added time to claim maximum points. It was a 30-30 tie at halftime after Eldonets won the first quarter 23-14 and KAA the second 16-17. Eldonets went up by a point at the close of third quarter with a 18-17 win but KAA leveled after winning the fourth 18-17. Collins Adodi made eleven free shots to top score for KAA with 35 points as Alphas Mwema added 22. James Omweno made five three-pointers to top score for Eldonets with 37 points. Eldonets beat University of Nairobi’s Terrorist 40-45 on Saturday. Renson Moibi scored 11 points for Eldonets, Morris Ouma added 10 and Omweno finished with nine. Sam Mwalo top scored for Terror with 12 points. In another game, Riara University won 71-64 over Mt. Kenya University (MKU) with Paul Ekiru scoring 15 points. Daniel Lubotse top scored for MKU with 20 points as Jude Michael made three three-pointers to add 16 points. Weekend Results: KAA 64 Nakuru Club 46, MKU Thika 64 Riara University 74, Terror 40 Eldonets 45, EMYBA 38 NIBS 41, JKUAT 55 KCA-U 37, NIBS 53 MKU Thika 69, Neosasa 53 JKUAT 51, Upper Hill 54 Kenyatta University Pirates 44, Strathmore University 61 World Hope 54, KAA 82 Eldonets 75, Kenyatta University Pirates 56 World Hope 66.